NASHVILLE – The Tennessee Bureau of Investigation has a new addition to its Top Ten Most Wanted List: Kirby Gene Wallace. Wallace (DOB 7-7-65) is wanted by TBI and the Stewart County Sheriff’s Office to face one count of First Degree Murder, one count of Felony Murder, one count of Attempted Murder, one count of Aggravated Arson, two counts of Especially Aggravated Kidnapping, two counts of Especially Aggravated Robbery, and one count of Especially Aggravated Burglary in connection to an incident in Indian Mound last weekend. He is additionally wanted by the Montgomery County Sheriff’s Office to face charges of Especially Aggravated Kidnapping, Aggravated Burglary, and Theft in connection to an incident earlier today. Wallace is a white man who stands 5’10” and weighs approximately 157 pounds. He has brown and gray hair and hazel eyes. 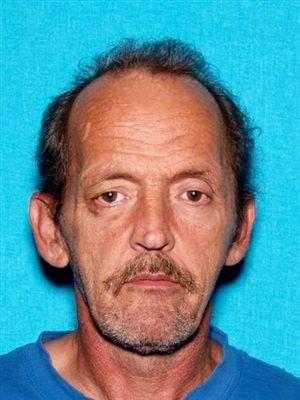 Anyone with information about Wallace’s whereabouts should call TBI at 1-800-TBI-FIND. There is a reward of up to $2,500 for information leading to his arrest.